Educationally focused templates for iBooks Author. Is there a better alternative to Education Templates iBooks Author Edition? 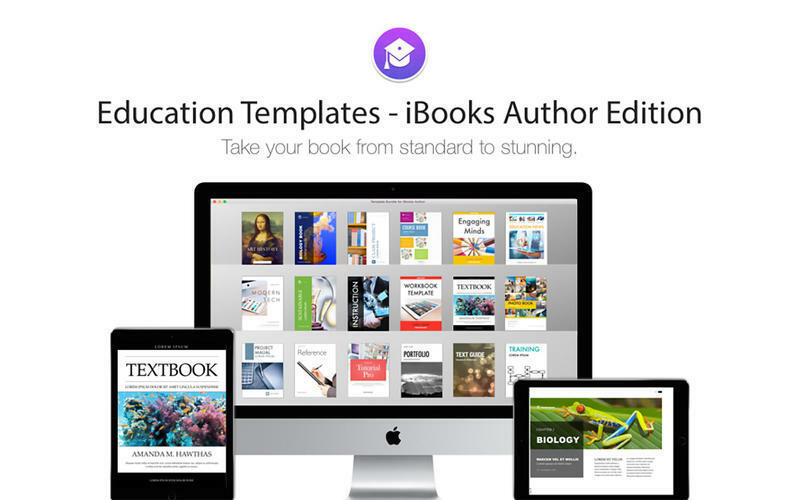 Is Education Templates iBooks Author Edition really the best app in Author Tools category? Will Education Templates iBooks Author Edition work good on macOS 10.13.4? Education Templates iBooks Author Edition needs a review. Be the first to review this app and get the discussion started! Education Templates iBooks Author Edition needs a rating. Be the first to rate this app and get the discussion started! Education Templates iBooks Author Edition is a collection of educationally focused templates for iBooks Author. Create immersive, interactive, and engaging textbooks, workbooks, tutorial guides, newsletters, class presentations, and more that will capture students' - or any audiences' - imagination and take learning to a whole new level. Choose from eye-catching designs with hundreds of unique layouts like the Tutorial Pro template, a brightly colored grid-based instruction template; or World Traveler, a vintage-style template with large photo spreads and interactive galleries. Adding your content is drag-and-drop easy, and all templates are 100% customizable - change as much or as little as you want - with just a few clicks. Mix-and-match layouts from different templates, providing endless options for creating professional and engaging content in portrait or landscape orientation.